This is a fully automated Expert Advisor using a grid algorithm and additional modules for determining entry points. 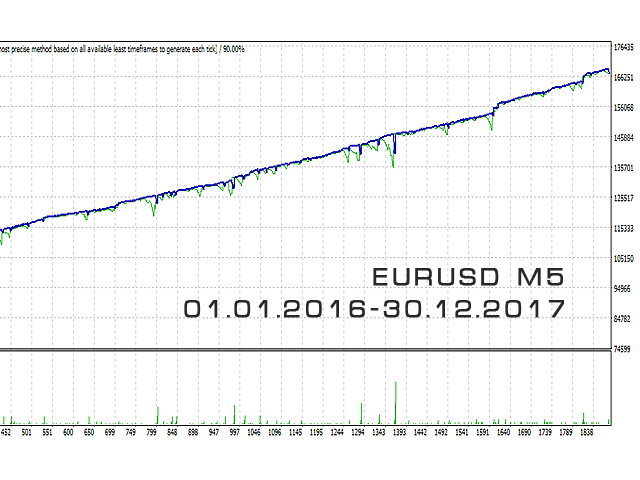 Trend trading system - orders are opened in the direction of the price movement. Countertrend trading system - orders are opened against the price movement at potential price reversal points. Advanced averaging system - if an open order or a series of orders becomes unprofitable, then an additional order with an increased volume is opened at a set distance from the furthest order, after a signal is received from the module for determining the direction of the price flow. Buy and sell orders are closed independently of each other. Improved algorithm for calculating the opening of orders. Easy setup and installation of the EA. Built-in functions to search for price direction in combination with basic indicators. The robot is resistant to broker manipulations. It uses a modified function for increasing the volumes of the opened orders when a buy or sell grid becomes unprofitable. EA Settings: use the default settings or set files. 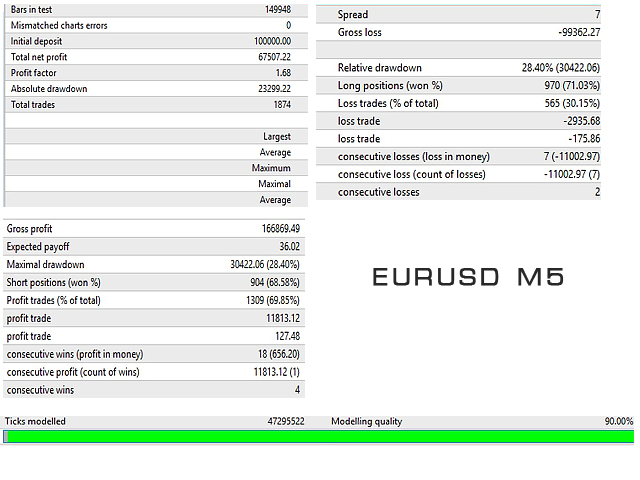 Brokers: there are no special conditions, but ECN, low spread and low commission are desirable. Trading Condition: ranging market is preferable. Min Lot Size - the minimum lot size. Max Lot Size - the maximum lot size. Work with a fixed start lot - fixed position volume for opening the first order in the series. Fixed start Lot size - fixed position volume. Starting lot for calculation - value for calculating the volume of the first position when "Work with a fixed start lot: = No"
Amount to increase the lot - amount in the deposit currency to calculate the volume of the first order in the series. The volume of the first order of the series is Total balance/Settlement balance for raising the lot*Starting lot for calculation. That is, if your deposit is $1000, "Settlement balance for raising the lot" = $500, and "Starting lot for calculation" = 0.01, then 1000/500*0.01=0.02. The volume of the first opened order will be 0.02. Percentage of the distance between deals to close - close the series, if the price exceeds the specified percentage of the total distance of the extreme unidirectional orders of the series. Grid Step - distance between orders for averaging positions. Step of a grid on a trend - the minimum distance between orders for the trend-following trading system. 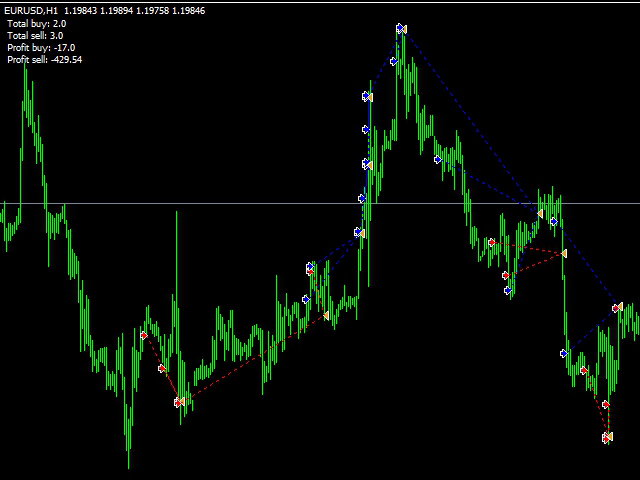 Step grid by countertrend - the minimum distance between orders for the countertrend trading system. Waiting after an unsuccessful opening of the order (sec) - pause after a failed attempt to open an order, in seconds. Period MA - period in bars for the trend identification indicator. Number of trend bars - the number of bars in the same direction for calculation of the price direction. ID of orders - identifier for detecting the EA's orders. Comments to the order - comment to placed orders. Information panel - enable/disable displaying information. Система прибыльная, из всего, что есть у меня на сегодня - одна из лучших. Отличные точки входа, хорошо вытягивает убытки, низкие просадки.